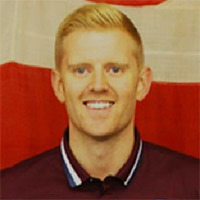 With 10 years’ experience, I am highly experienced within the sport and education sector. I hold strategic responsibility for operational excellence and staffing throughout my organisation, Sporting Chance. I have displayed a holistic approach to the management and development of young people and I hold their needs as paramount in the work that I do. A keen football player and coach, I have won a host of regional and national coaching awards. From here I extended my coaching prowess into local boxing clubs and other grassroots activity outlets. I have, in more recent years, developed a vast experience of working with young people involved in the criminal justice system, young people who are not in full time employment, education or training (NEET) and those with an SEN requirement. After gaining teacher status in 2016, I am leading the way on how to approach education and making it engaging for everyone.